West Marine is an American company based in Watsonville, California, which operates a chain of boating supply and fishing retail stores. Fitbit, Inc., a technology company, provides health solutions in the United States and internationally. The company offers a line of devices, including Fitbit Surge, Fitbit Blaze, Fitbit Charge 2, Alta HR, Alta, Fitbit Flex 2, etc., designed for fitness that help clients lead healthier, more active lives. Fitbit, Inc. was founded in 2007 and is headquartered in San Francisco, California. Amyris is an integrated renewable products company providing sustainable alternatives to a broad range of petroleum-sourced products and rare materials. Amyris, in conjunction with various partners, is creating industrial scale supplies of vitamins, captive perfume molecules like Ambroxan, a patchouli substitute and Farnesene which can be used in tires, and lubricant, as well as their own beauty care product line using squalane, their substitute molecule for shark oil. Amyris uses its industrial synthetic biology platform to convert plant sugars into a variety of hydrocarbon molecules, flexible building blocks which can be used in a wide range of products. They do this by reengineering yeast so it can recreate complicated molecules. The time to market was reduced four fold after Amyris teamed with Darpa. Amyris is commercializing these products both as renewable ingredients in cosmetics, flavors, fragrances, polymers, lubricants and consumer products, and also as renewable diesel and jet fuels. Amyris Brasil S.A., a subsidiary of Amyris, oversees the establishment and expansion of Amyris's production in Brazil. Amyris also has fuel distribution capabilities in the United States through its subsidiary, Amyris Fuels LLC. 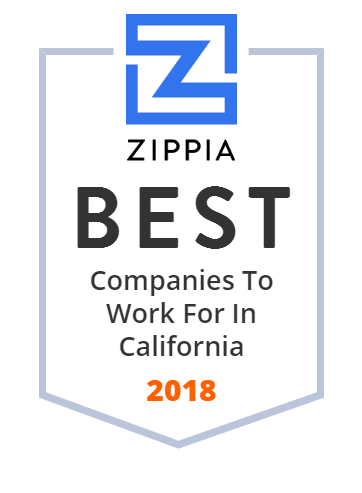 Founded in 2003 and headquartered in Emeryville, Ca, Amyris has raised over $120 million in equity funding to-date, including investments from Royal DSM, Total S.A., Khosla Ventures, Votorantim Novos Negócios, Kleiner Perkins Caufield & Byers, TPG Biotech, and DAG Ventures as well as DARPA. Amyris is opening two more plants in New Zealand and Korea in proximity to sustainable sugar cane crops. Quiksilver is a global retail sporting brand, founded in Torquay, Australia, but now based in Huntington Beach, California. DPI Specialty Foods Inc. markets and sells chilled and frozen specialty foods in the United States. Its portfolio includes gourmet, natural, organic, gluten free, local, and ethnic foods. It offers perishable and non-perishable food items; and fresh, soft ripen, washed rind, blue, goat, semi soft, and hard cheeses. The company also provides related logistics services. It serves national retailers, regional retailers, independent operators, and foodservice providers through distribution centers in Tualatin, Oregon; Henderson, Colorado; Ontario, California; Upper Marlboro, Maryland; Canton, Massachusetts; and Hodgkins, Illinois. The company was founded in 1963 and is based in Ontario, California. DPI Specialty Foods Inc. is a former subsidiary of Irish Dairy Board, Inc. The Professional Association of Diving Instructors is a recreational diving membership and diver training organization founded in 1966 by John Cronin and Ralph Erickson. Behr provides paints, primers, stains and specialty products and services. The company had been a successful stain and varnish manufacturer. They also introduced premium paints in 1986. In 1999, Behr Process Corporation was acquired by Masco Corporation of Taylor, Michigan. The merging was successful, because the two companies share the same entrepreneurial philosophy. The company was founded in 1947 and is based in Santa Ana, CA. Plantronics, Inc. is an American electronics company producing audio communications equipment for business and consumers. Its products support unified communications, mobile use, gaming and music. Plantronics is a publicly traded company (NYSE: PLT) headquartered in Santa Cruz, California. Most of Plantronics' products are produced in China and Mexico. Harbor Freight Tools is a privately held discount tool and equipment retailer, headquartered in Calabasas, California, which operates a chain of retail stores as well as a mail-order and eCommerce business. Hot Topic is an American retail chain specializing in counterculture-related clothing and accessories, as well as licensed music. Aquatic Bath is a world-leading manufacturer of hydrotherapy systems, everyday bathtubs and showers, and accessible bathing solutions. From jetted bathtubs with soothing powers to sectional showers with accessible features, Aquatic products offer the distinct advantage of unparalleled engineering and craftsmanship. With every detail of every design they create, every aspect of every service they offer, they aim to bring the best to the industry and to homes nationwide. Stance is an American sock, underwear and T-Shirt brand founded in December 2009. California-based Atlantic, Inc. has consistently innovated to offer the best consumer and commercial solutions. Allbirds is a San Francisco-based direct-to-consumer startup aimed at designing environmentally friendly footwear. Tillys (originally known as World of Jeans and Tops and Tilly's) is an American retail clothing company that sells an assortment of branded apparel, accessories, shoes, and more. Tillys is headquartered and operated from Irvine, California. The company opened its first store in 1982 in Southern California. Tillys stores are located in both traditional outdoor shopping centers and in shopping malls. The average store size is 7,900 square feet (734 m). Due to their size, Tillys locations in malls usually take up two or three store spaces. As of 2018, Tillys operates 222 stores, including 3 RSQ by Tillys pop-up stores, in 31 states. Bourns, Inc. is a leading electronics company that develops, manufactures and supplies electronic components for a variety of industries including automotive, industrial, instrumentation, medical electronics, consumer equipment and portable electronics. Some of their products include encoders, LED shunt protectors, magnetic products, microelectronic modules, position sensors, potentiometers, fixed resistors, surge protective devices, and switches, among others. North American Pet Products is an established manufacturer of quality pet products. Topcon Corporation is a Japanese manufacturer of optical equipment for ophthalmology and surveying. Jacuzzi is a Californian corporation that produces whirlpool bathtubs and hot tub spas. Stitch Fix is an online subscription and personal shopping service in the United States. Rodan & Fields, LLC, known as Rodan + Fields or R+F, is an American manufacturer and multi-level marketing company specializing in skincare products. In 2002 Katie Rodan, MD and Kathy Fields, MD, creators of Proactiv, started the Rodan + Fields brand; they sold it a year later and then bought back the brand in 2007 with a multi-level marketing structure. The company uses independent consultants, mostly women, to sell its products. Only two percent of these consultants make more than minimum wage. Its business model has been criticized by consumer advocates as being close to a pyramid scheme. Juicero was a company that made a device for fruit and vegetable juicing. Core-Mark Holding Company (NASDAQ: CORE) distributes fresh, chilled and frozen merchandise mainly to convenience stores in the United States. It also provides associated business services such as category management and management of promotions. AID Inc. provides tools for the Creative Community and also media facility system integration with unparalleled product sales and technical support. Universally flattering, socially conscious, unisex sunglasses with a signature rhombus inlay integrated on the temple of every frame. Free worldwide shipping. Guthy-Renker (/ˈɡʌθi ˈrɛŋkər/ GUTH-ee RENG-kər) is an El Segundo-based direct-response marketing company that sells products directly to consumers through infomercials, television ads, direct mail, telemarketing, e-mail marketing, and the Internet. As of 2014, it has 8 different product groups, with an emphasis on celebrity-endorsed beauty products.